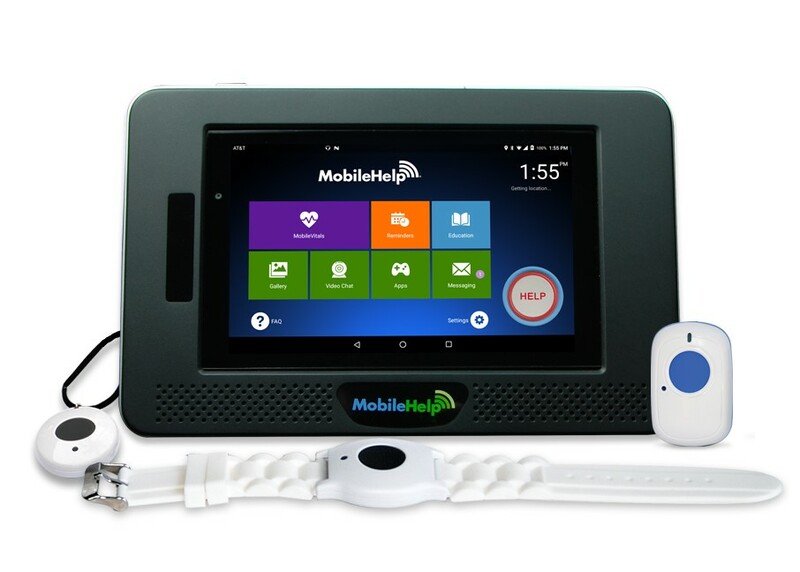 Fall Button™/Activity tracking: The optional MobileHelp Fall Button automatically detects falls*, and also allows users to track activity levels on a daily, weekly, monthly and even yearly basis. Flexible Configuration: This flexible platform can be configured with added features or presented as a basic offering for patients who prefer a simplified user experience. Virtual Video Visits: Giving patients and healthcare providers the capability to interact by video is a key component of the tablet’s telehealth aspects. Patients can also use this function to connect with loved ones and other caregivers. Messaging: The tablet features an easy-to-use messaging interface, so users can connect with loves ones by SMS or e-mail using one simple streamlined application. Educational resources: Providing access to information, from disease-specific resources to broad-scale nutritional and exercise materials, the tablet allows consumers to acquire personal libraries relevant to their own health and wellness.